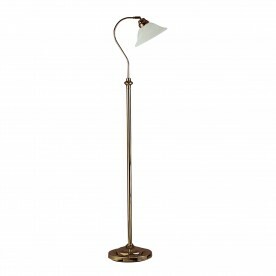 This Antique Floor Lamp with Adjustable Head is a classic design finished in traditional style. 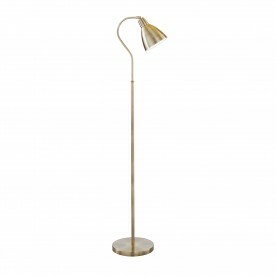 The long stand sits on a round base, with a curved top that features a cone shaped antique brass finish shade. The head is fully adjustable, providing a practical source of light for any corner of your home.